They didn't realize what was going on and now they do so they're going to send some good loads your way. Sorry bout that.” Problem solved. This scenario is happening to somebody, somewhere everyday at the larger companies. If you take the time to talk things over you'll find that situations like this come and go all the time and are soon forgotten. Nothing to it. No harm done. You'll get your lost miles back in the coming week or two. However, let's explore other possibilities. Say you've presented this information to your dispatcher complete with truck numbers and everything. You ask dispatch to please look into it and see if you can get more miles. They agree to do so and come back to you later saying they talked to their boss and the problem is solved. But several days or a week go by and still nothing gets better. If you take the time to talk things over you'll find that situations like this come and go all the time and are soon forgotten. Ok, now on to the next step...your dispatcher's boss. Ask your dispatcher for the name and extension of their boss. But make it clear that you're not calling to complain about them but to see if you can find out why you still aren't getting any miles. You'll find that your dispatcher's boss has several dispatchers under him or her. 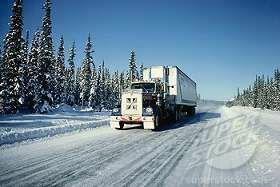 So have an honest discussion with the boss and make it clear that you're looking to get more miles and you've presented your dispatcher with the truck numbers of other drivers that are getting good miles. Continue to explain that you asked your dispatcher to look into it and you were told it was taken care of and yet nothing has changed. Is he or she known as the type who keeps their drivers running? If your dispatcher isn't letting anyone know that you're not happy then they aren't doing their job. Are they the type that really cares about their drivers? Even though the dispatcher doesn't have the authority to overrule the load planners they are responsible for making everyone aware of a driver that is not being taken care of properly. If your dispatcher isn't letting anyone know that you're not happy then they aren't doing their job. Keep in mind that your dispatcher and their boss work together everyday. They know each other well and will often defend, or at least try not to offend each other. So the boss might say, “hey, your dispatcher is a good one and we'll keep an eye out to make sure you start getting some good loads.” At this point you should give it another few days or a week and see if anything changes.